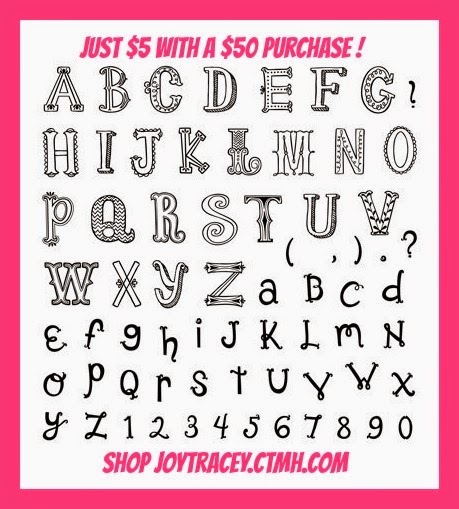 Need a quick gift - maybe for a teacher, co-worker, friend? Scouting troop? 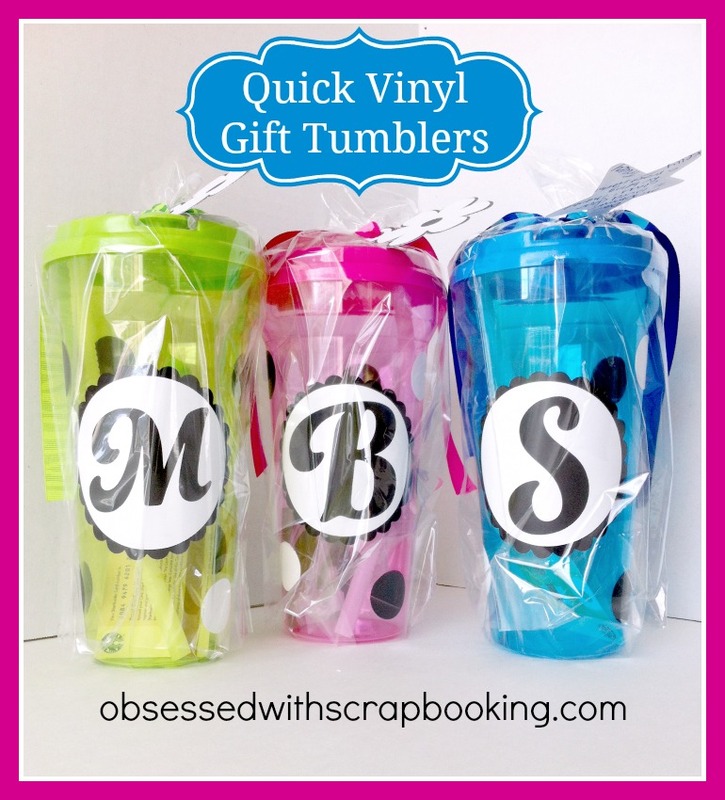 These monogrammed tumblers are the answer! I got the tumblers at Dollar Tree. Then, using the Close to My Heart Artbooking Cricut Cartridge for the font and the free Cricut Craft Room Basic Shapes for the circles (scalloped and regular), I made these quick gifts by applying vinyl to the tumblers. You can always add in a kind note and a gift card on the inside! Want to see how I made these tumblers? 1) Leave a comment below - Have you tried vinyl? It really is awesome! Winner will be announced on July 20, 2014 and has two weeks to claim prize. U.S. Residents only, please, over 18. Void where prohibited. Wow, what a fantastic, inexpensive gift. I have tried vinyl. I made a sign for my craft room that says "Create". No, I haven't tried vinyl. I need to step outside my box! 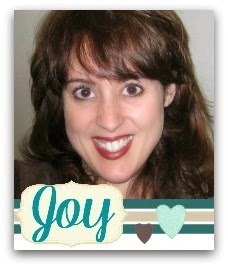 Thank you, Joy. what a cute idea. I send little gifties to all my great nieces and nephews at Christmas time and this would be perfect! I tried vinyl once....to put the address on the mailbox. Don't know what I did wrong; but, vowed never to use it again. Fantastic project. Thanks for sharing your time, talents, and ideas with us. Nice gift with a monogram personal look. Tried vinyl but not done much with it. i have made several projects using vinyl. I find the weeding somewhat theraputic. Love this little project! I have never used vinyl, but I might have to give this a try on my kids new water bottles. I've dabbled with vinyl a little, very intimidated by it. You make it look so simple, I may try those cute tumblers. Thanks for your helpful video. I love working with vinyl. I am always looking for new ideas. Cute idea. I have used vinyl with my Cricut for marking the address outdoors. Works great and stands up to the weather. I have very little experience with vinyl. One time I was successful. The other time it was a waste. Cute tumblers! I like the idea of putting gift cards and a note inside. I love using vinyl! I've been afraid to try using vinyl. But thanks to your great video, I'm going to give it a try. 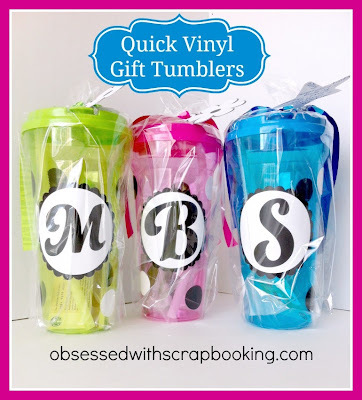 Oooooh, I definitely need one of those cute tumblers! Thanks so much for the inspiration. I have tried vinyl and cut it on my Exlore and it was allot of fun. Love your tumblers they really are so fun and cool. You are the Queen of vinyl HOORAY for you as you really do take the scary out of trying things. YOU ROCK!! I love using vinyl, but find that I need the ones that can go through the dishwasher. Where can we get cheap outdoor/automotive vinyl? I bought vinyl because my husband wanted to buy letters to put "Old Fart Cart" on his golf cart. I used red vinyl and he gets lots of laughs and on it. Same thing when we had to replace our mailbox. I used the leftover vinyl to put our house number and Last name on our mailbox. I haven't tried vinyl yet, but I just bought 2 rolls at a garage sale. Now I'll have to think of a project. Thanks for the video on the tumblers. Thanks for the chance to win this cart. I have never tried vinyl, this would be a good project to start on. Very cute--no I have never tried vinyl. haven't tired it yet, but this might give my the courage to try it, thanks! These are great! I've done vinyl for gift items before - water bottles for party favors, Xmas ornaments for my daughter's girl scout troop…it's fun and a great way to personalize items! I tried vinyl for the first time last week & think I'm addicted. It's fun to make projects with! Great gift idea!! I have tried vinyl before when I etched some wine glasses. I love vinyl. I've done outdoor signs, wall quotes, car stuff, even teeny tiny quotes for cards. Love this project and really agree with you about this font. I haven't cut vinyl before, but would like to make some of these tumblers for our cruise next year. Haven't tried vinyl yet. Have some but scared to try it. Fantastic cups and gifts! Who wouldn't like a gift like this? I've never used vinyl, its on my list of things to do in life! I love using vinyl. He transfer vinyl is my favorite. I've me T shirts and pillows and canvas art. I do love vinyl! 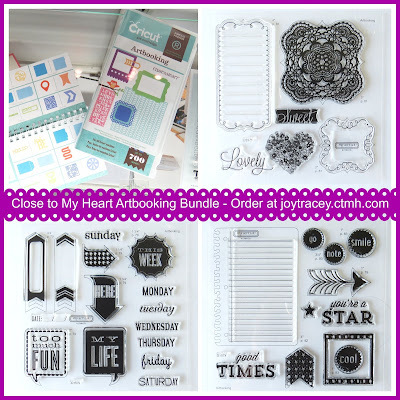 My Favorite Cricut Cartridge is Create a Critter & Create a Critter 2 so fun. Thanks, V. Rodriguez, Harlingen, Tx. 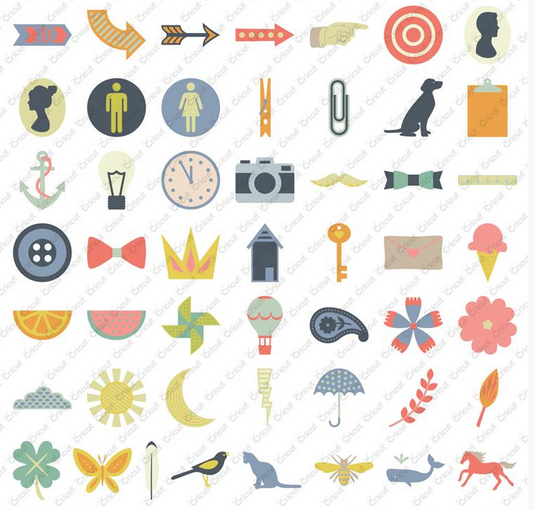 I love each and every Cricut cartridge I have, but if I had to pick, Stretch Your Imagination would be it. I enjoy all my cartridges but Art Booking is becoming my favorite with the books and cards I make with it!